& Everything it Means to Me. 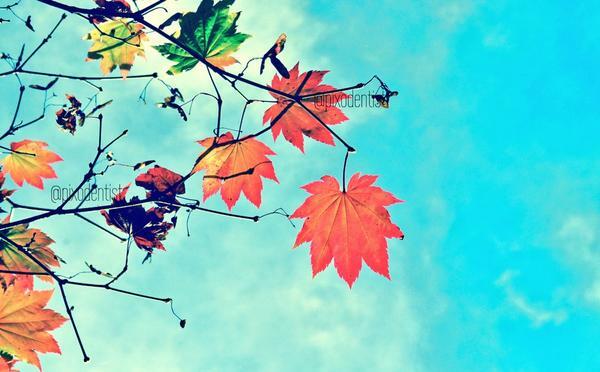 I do not know why, but my mood changes in the Autumn, more so than any other season. I notice the onset of the season and stop and think about many things. I am sure that part of my thought process relates to the fact that my birthday is in October and it’s a time to reflect on the years that have passed and those ahead. I know most people would tend to do this over New Year but I try & ignore that celebration altogether. The last time ever spoke to my Dad will be 10 years ago this Autumn and it was my birthday, I have mentioned this before. When things like this happen on normally happy occasions, you can never let the day go by without thinking and reflecting. I adored my Dad and I only wish that my own children could have experienced that with their own father. I felt safe with him, I felt protected and loved even into my adulthood. He always had my back no matter what. I also met my (missing) partner in October, actually on the anniversary of my Dad’s death. I have pondered this coincidence many, many times! Since starting this blog I have tried many times to openly express how I felt (still feel) about the gift of his love but I do not have the words yet. I hope that one day I do. If you have been following my journey you will know that I started writing for therapy for myself, to become more open and (re) learn how to let people into my own personal space. It has worked too. I have learned that although the leaves fall, the new growth will appear. In the last few months I have made more new friends, received so much support and found some like minded people who interact and seem to enjoy what I have to say. I am beginning to find my happiness again I must say I like it when I catch myself smiling. Very nice. Birthday wishes to you and respect and regards to your dad on his Anniv in oct. Thanks for using the photo. I simply adore this photograph! Creative people like you make my days so much brighter by showing all the beauty all around us. It’s a gift in this troubled world, do not underestimate the impact it has on people. Hi Jane! I so enjoy your blogs! I do the same reflecting on my birthday too! I also do a lot of deep thinking in the fall and what lies ahead with the holidays approaching… mainly how things use to be as we are empty nesters now. Christmas is just not the same and I want those years back again but I do find new traditions are taking place from year to year. My son lives 600 miles away with his family which includes our only grandchild, a grandson. He is the light of our lives and we dote on him as much as we can. I look forward to new traditions with him and the holidays will be fun again. Hello vbginger! It is people like you that I refer to at the end of this piece, so thank you so much for reading and commenting. Your blog post certainly resonates with me. I love that you are using your blog as a type of therapy. It can be very cathartic to share ones thought process with others, very freeing, don’t you think? I look forward to reading more of your posts. Thank for reading & taking time to comment. I know I am happier & more relaxed since starting writing so what you say must be true! This post resonated a lot with me as I wrote a similar one a few weeks back. I too am October birthday and it does make me reflect. I’m sorry it brings some painful memories up for you. I have had that for the past few years, but this one was different and I feel able to now move forward. I also read your post on moving forward and moving on and I thought you summed up the difference really well. Glad to have found your blog and I’ll look forward to reading more. I will go find yours 🙂 The time frame for me is actually 14th-18th October and that has now passed. I had some wonderful support and this year I reflected far more positively than previous years. Jane: Fall is a time of year to naturally reflect about where the time is going. You speak about a missing partner that you have written about before. I don’t want to pry, but it would be nice to have a link to one or two of those posts, for context. I liked the one about your dad you reposted for #ArchiveDay – that was you, was it not? So many blogs… such a mixed-up mind.